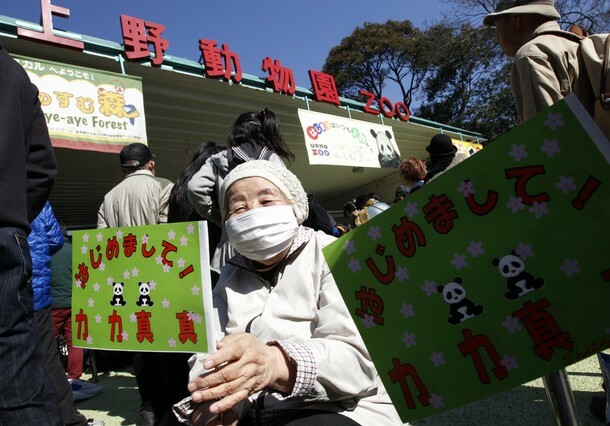 Yep, the Ueno Park Zoo has pandas once again. Check out this BBC News story about the exhibit's opening day. When the March 11 quake hit here, the pandas ran around in their cages and took two hours to calm down, NHK reported. They're better now, zookeepers say. Fun fact from the Probe: these pandas are not a "friendship gift" from China. Japan will pay $950,000 a year (about 90 million yen) to "lease" the animals.